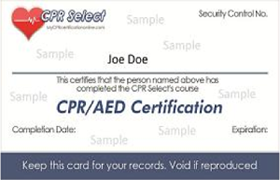 Download your CPR/AED and First Aid Certification Instantly and get a wallet-sized card in the mail. As soon as you complete your course and pass the online multiple choice certification exams, you can print your certification wallet-sized cards instantly. Also, we will send you a FREE official wallet-sized card via First Class mail for each certification you earn! 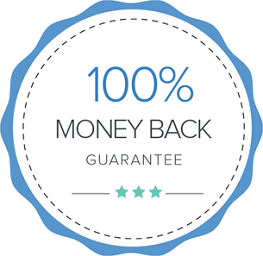 This course is designed for community and workplace participants like teachers, coaches, camp counselors, school bus drivers, personal trainers, daycare workers, babysitters, construction workers, etc,. Approximate time to complete the course is 60-90 minutes. It is highly recommended that you read through the entire course content before taking the exam, however, we understand that many of you are trained professionals who only need a quick refresher. If you are familiar with the content of your course, you can immediately take the exam after registration and be on your way with a recertification in just a few minutes. Unlike most other online Basic First Aid courses, our course was both written and approved by AHA-trained U.S. board certified physicians, so you can feel confident in the quality of our Basic First Aid course. Our online Basic First Aid online course covers the same topics that OSHA-approved classroom courses, however, our Basic First Aid training and exam is more affordable and more convenient than many classroom-based Basic First Aid training courses. Includes "Compression-Only" by Stander-Initiated CPR Techniques. Includes 60-day unlimited course access from any web-enabled device. Includes Unlimited Access to your Certificate and wallet card online. Note: International orders must select the international shipping option above.